Companion to the No. 1 bestselling 8-Week Blood Sugar Diet. 150 simple, delicious meals to help you lose weight fast and keep your blood sugar levels in check. Includes 8 weeks of calorie-counted meal plans. Dr Michael Mosley's No. 1 bestselling 8-Week Blood Sugar Diet revealed a game-changing approach to weight loss that not only lowers blood sugar levels, but can also reverse and prevent type 2 diabetes. In this eagerly awaited companion cookbook, Dr Clare Bailey, GP and wife of Michael Mosley, has teamed up with renowned nutritionist Dr Sarah Schenker to create simple, delicious, low-calorie, low-carb recipes, all expertly balanced and easy to make. With a foreword from Dr Michael Mosley, this comprehensive collection of menu ideas ranges from quick breakfasts to deliciously satisfying dinners and follow the Mediterranean style of eating now proven to revolutionise your health. Whether you are embarking on the full 8-week diet plan to reverse your diabetes or simply looking to keep your blood sugar levels in check, this book will help you lose weight and change the way you eat forever. Average weight loss: 14kg in 8 weeks. Dr. Clare Bailey is a general practitioner and the founder of Parenting Matters, an organisation that helps hundreds of parents become more confident through courses and one-to-one consultations. She is the wife of Dr Michael Mosley, author of The FastDiet, The FastDiet Cookbook, and The 8-Week Blood Sugar Diet. 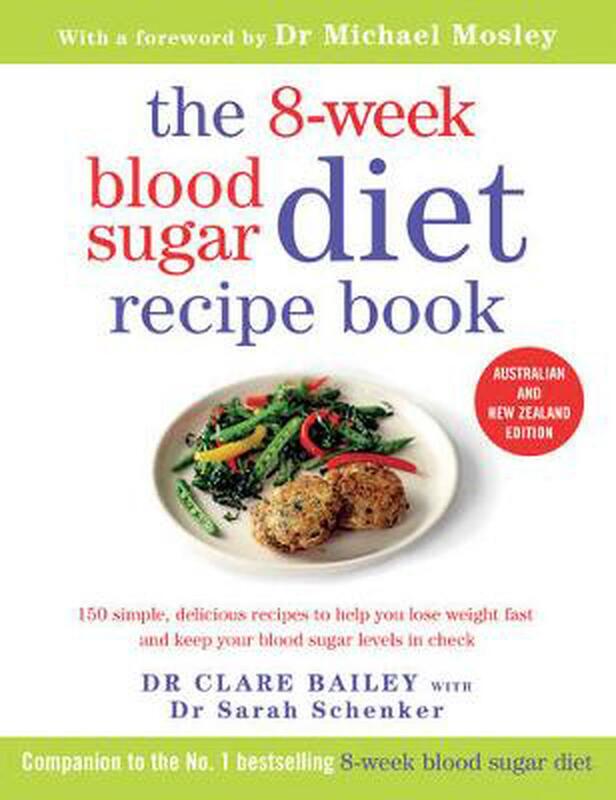 Clare is the author of The 8-Week Blood Sugar Diet Cookbook. Dr. Michael Mosley is the author of the international bestsellers The Clever Guts Diet and The 8-Week Blood Sugar Diet, and is coauthor of the international bestseller The Fast Diet with Mimi Spencer. He is also coauthor of Fast Exercise with Peta Bee and wrote the foreword for The Fast Diet Cookbook by Mimi Spencer and Dr Sarah Schenker, and wrote the introduction to The 8-Week Blood Sugar Diet Recipe Book by Dr Clare Bailey and Dr Sarah Schenker. Dr Mosley trained to be a doctor at the Royal Free Hospital in London before joining the BBC, where he has been a science journalist, executive producer, and, more recently, a well-known television personality. He has won numerous television awards, including a Royal Television Award, and was named Medical Journalist of the Year by the British Medical Association.